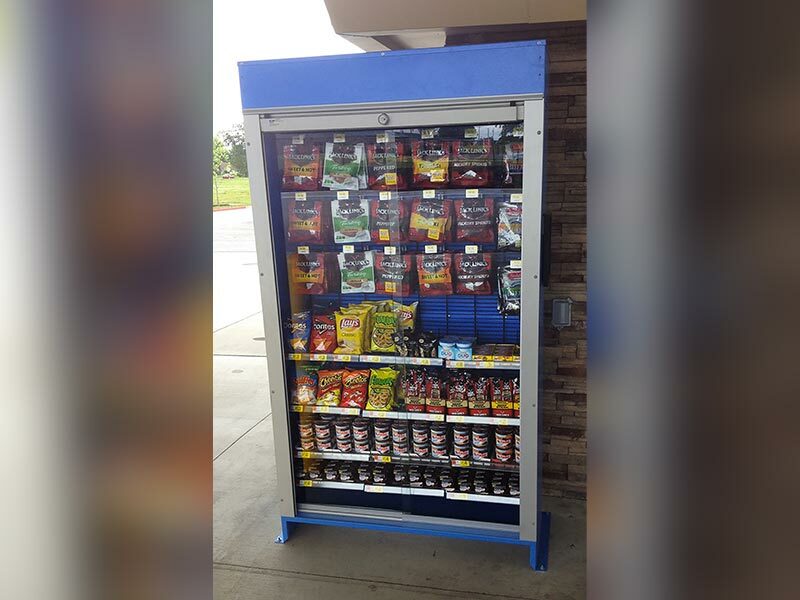 Our High Security Outdoor Impulse Merchandiser will increase your convenience store’s profits anywhere inside and outside the store. 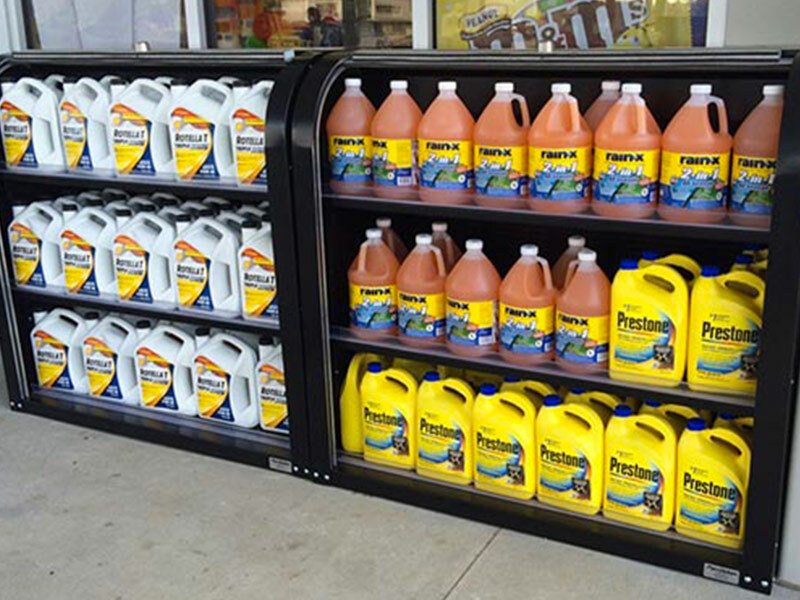 With its durable metal design, the merchandiser can safely store any product, from snacks to antifreeze. It creates additional square footage of merchandising space to any store size, converting to additional dollars per square foot. The Indoor/Outdoor Merchandiser features a high-quality metal design and is available in various sizes, from 48” to 84” high. 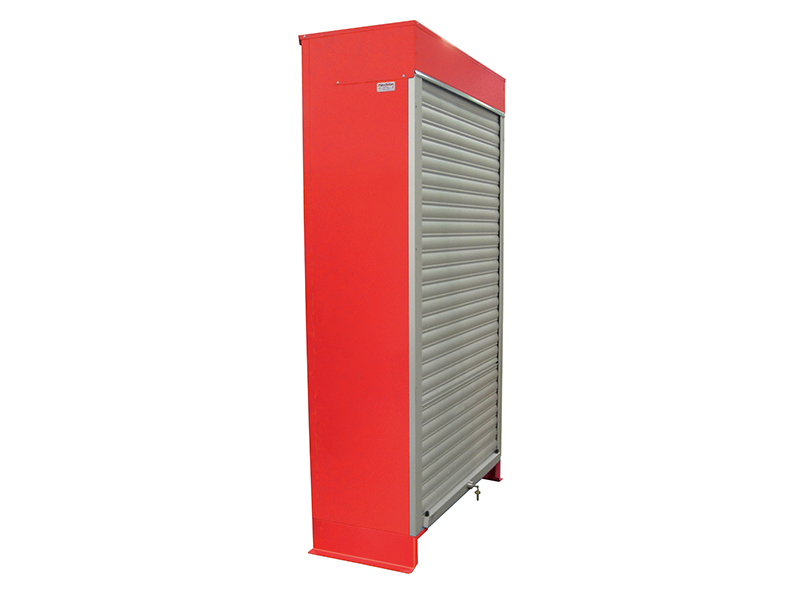 The tambour door secures product with one lock point and works within the store’s line of sight guidelines. 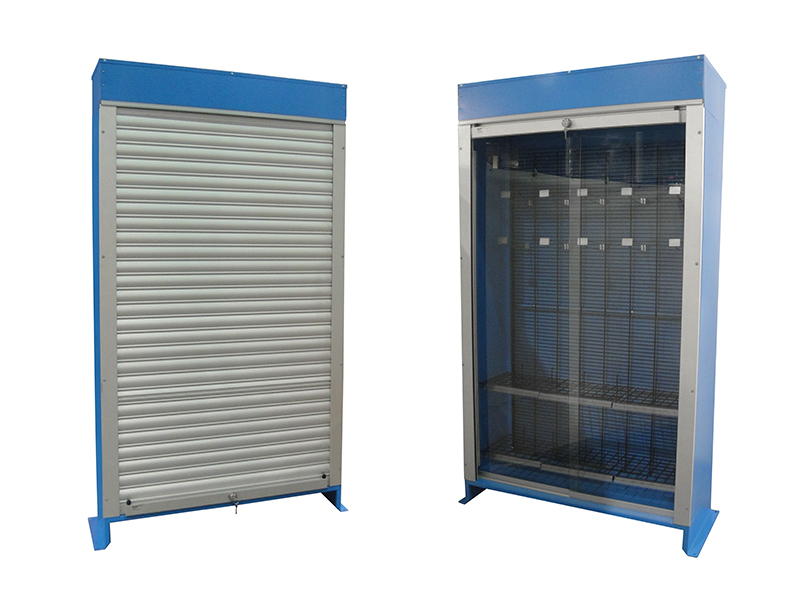 The merchandiser is UV coated, so it can withstand the elements outdoors and keep product secure when the store is closed so that product does not have to be moved inside.